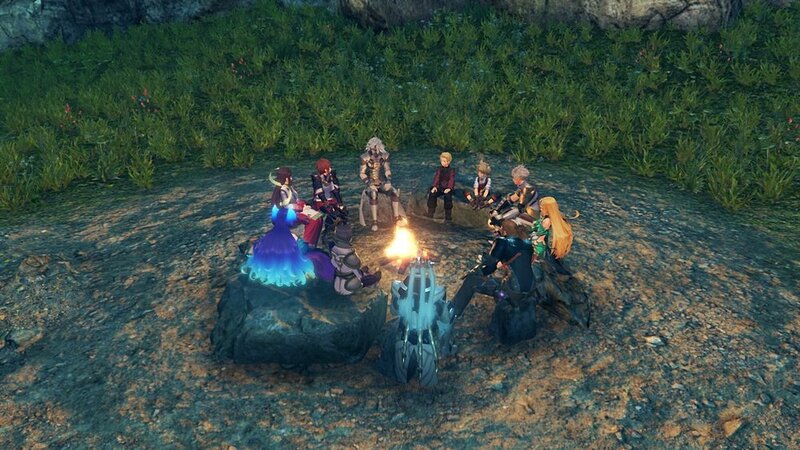 I’m torn on whether or not I fully enjoyed this story-based expansion to Xenoblade Chronicles 2. While I absolutely adored the story components that Monolith Soft have delivered here, the supplemental side quests bog down the experience and cause this expansion to feel as if I was progressing through it at a snail’s pace, as if I was being punished somehow. While this additional content attempts to bring with it all the style and charm that made the base game so enjoyable, it rarely shines and often feels far too bloated due to an excessive amount of filler. Ok, so let’s back up a bit so I can put all of this into context. Torna - The Golden Country is a narrative expansion to Xenoblade Chronicles 2, a solid JRPG that features a wealth of interesting characters, engaging combat mechanics, and a wonderful story, a review you can also find here, and one that I will reference during this review due to its many similarities. Torna - The Golden Country, takes place some 500 years prior to Rex and Pyra’s epic adventure, and allows you to witness events that are briefly shown to us during that game. During the development of this expansion, it was mentioned that this story was originally going to be placed between chapters 7 and 8 of the main game but was left out so they could expand on this bonus story a bit further. The fact that this was originally going to be a lengthy playable flashback moment can certainly be felt in how much of this expansion actually deals with the core narrative as out of the 17 or so hours that I put into the title, maybe 2-3 hours of it was built around the actual story. What is here of that story is absolutely fantastic and easily stands alongside much of what was present in the base game. While we know the fates of what is in store for this small cast of characters, seeing them live these moments out can certainly make you really appreciate what was present in the base game. Golden Country does a fantastic job at bridging the gap between the two stories while feeling like a complete adventure unto itself. I will say that while you don’t really need to have played the base game to understand much of what is going on, it certainly gets to a point where some moments built around the finale as well as the brief moments after that will be completely lost on you, especially a scene involving Jin that takes place shortly after the credits. Lora, the protagonist of this expansion is a very different personality than what we had with Rex. While they both want to do the right thing, they go about it in very different ways. While Rex was energetic and wanting to prove himself, Lora is far more subtle in her excitement and frankly, it was a nice change of pace. Having her paired with Jin also offers a very different dynamic as well. Going through the main game with Jin as one of your antagonists, certainly allows his time here as a good guy to pay off much of his story during the later parts of the base game. Lora and Jin’s relationship is also well conceived and feels worthwhile to sit through as not only does it make up a good portion of the main story, but it adds in a very interesting few battles with a figure from Lora’s past. As it was alluded to in Xenoblade Chronicles 2, Mythra had an original Driver named Addam. While the expansion is mostly built around Lora, there is certainly a great deal of attention here towards Addam and his place in the world. What is even more intriguing about the game taking place during this era, is that we are dealing with a Mythra that has not yet created the Pyra personality that we are first introduced to in the base game. The Mythra we are shown here isn’t too concerned with the well-being of humans and while some aspects of her personality are still the same, there are several aspects that are not. I really enjoyed the development Mythra has here during the expansion as it explains more about why Mythra is who she is when we met her previously. With the base game of Xenoblade Chronicles 2, you had a wide range of personalities through the numerous Blades you could unlock, changing up your party in very interesting ways. This was also the case with the people you could include in your four-man party. While The Golden Country still maintains the four-man group, you are locked to just those four characters and their set specific Blades for the entire experience. While the pro’s of this is that each character gets a decent amount of development and that it also negates the need to swap your party around to utilize the character specific moments, the con’s are that it lacks the creative freedoms that made the original so great, even if the gatcha system to collect them all was mostly awful. I was a big fan of Malos in the base game and while I feel there was a missed opportunity to have another main villain here, I was glad to see Malos back as the antagonist again. The Golden Country does have a fairly tried and true world ending scenario set up here with the main group needing to take down Malos before he does his thing, but it is in the execution of those story moments and the stunning cutscenes that are present, that really sell how great this series is visually represented. Sure, some aspects of the story are wildly predictable, this is a prequel after all, but it is fun to see these characters in action regardless of what is known about their fates. While the overall combat system is essentially the same here, this time you can swap to the Blades you have equipped and create some interesting combo attacks. Swapping back and forth has a short cool-down that isn’t terribly long and by switching back, it will have your skills all ready to use, allowing you to follow up a big attack with another one. As you can only heal through the few healing abilities tied to certain Blades, this switching is a requirement should you want to stay alive. It is a fun system that creates a much faster experience overall and allows the combat to feel very fresh as you can swap from character to character as well, sampling the entire roster. Another new mechanic to this expansion is the camp system. You will find campsites all around the map to regroup at and you can craft items and food as well as engage in group conversations that are added ever so often as you complete various objectives. It is here where you can also level up your characters with the bonus experience you have earned in combat. Now, I mentioned at the start of the review that the side quests are not exactly great and that is very much true. Sure, there are a few gems here and there that do serve as enjoyable content, but so many of these are mindless fetch quests that more or less have the same basis and structure to them. While I’m not opposed to taking on a few quests to grind away and level up my team, the side quests here are more or less mandatory due to another new system: Community. The community system is a way to track all the quests that are presented to you through the collection of NPC’s that litter this world. As you complete each side activity, you will earn points towards your community. As you earn enough points, you will level up your community level. While this system sounds good in practice, there’s a huge catch; some story progress is blocked until you level up your community. 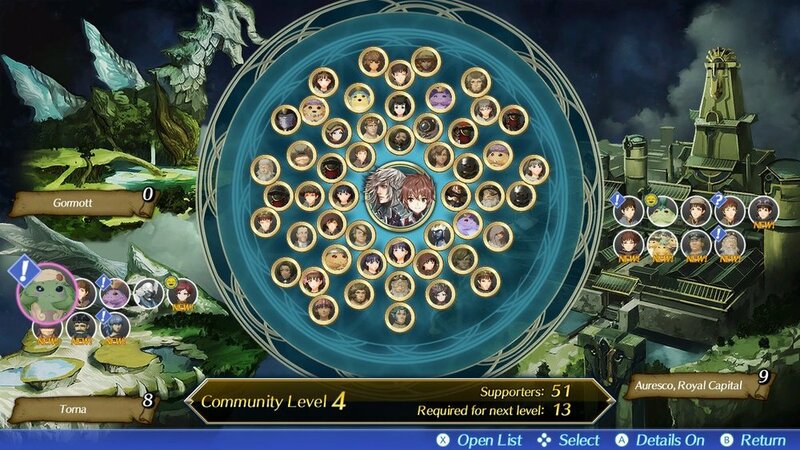 At one point in the story, you are forced to raise your community to level four. While that may not seem like a big chore, you’ll more or less be around level 2 at the time, making the next few hours nothing but side quests, despite the insane urgency afforded by the main plot. In order to complete most of these activities, you will need to learn various skills or upgrade existing ones by completing certain objectives or by feeding certain foods to your Blades. Mythra, for example, in order to learn Focus 2, and trust me, that is the skill you will use the most for a large majority of the quests offered, you will need to feed her a few desserts to unlock this ability. Xenoblade Chronicles 2 was not the best looking game in the world, mostly due to the visual constraints of the Switch, but it was a damn good looking game in its own right. Characters looked fantastic and had a wide range of designs and personalities as well. While there are certain aspects to the game here that are solid and can look a bit more refined, the characters themselves have a weird bleeding to their model that was incredibly distracting during the entire experience. Another weird aspect to their models is they often will have a white outline accompanied with a shadow that makes them look a bit weird, as you can see in the below picture. As I did a bit of research during this review, I found that this expansion uses a whole new rendering engine that is the cause of this effect. While this new engine allows for some slightly better visuals in the various environments, the way it renders its characters is downright painful to look at and made taking great looking screenshots almost impossible. As I’ve mentioned, I’m torn on whether or not I enjoyed my time with this expansion. The main story and its cast of characters are certainly engaging, but the weird visuals towards those characters and the painful side quests just distract from what I truly love about this title. While the main cast is rather small, they are well defined and each have their own moment to shine. I loved seeing Mythra’s growth and how she changes as a character and how her role here bridges the gap between this and the main game. Torna - The Golden Country is a serviceable expansion that at times can be rather impressive, but lacks the charm and freedom offered by its predecessor, and can only be recommended to those who are desperately wanting to continue the XC2 adventure. Xenoblade Chronicles 2 : Torna - The Golden Country was purchased by the reviewer. All Screenshots were taken on a Nintendo Switch. Newer PostPokémon - Let's Go! Analog Stick Gaming and all original content is Copyright (c) Jeff Young. 2017-2018.